The tents at Mara Intrepids camp are raised on stilts and overlook the Talek River, one of the main crossing points during the wildebeest migration. The best time to visit is between July and October.This is a larger camp with with 30 tents. 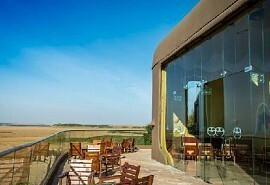 Mara Intrepids is ideally located in the centre of the Masai Mara's four game-viewing areas. Situated above a sweeping bend in the Talek River, Intrepid is only a short trip from the Mara River where one can witness the Migration crossing. The remainder of the year the camp offers some of the world's finest game viewing, with large local populations of plains game, elephants, rhinos, buffalos and all the big cats. 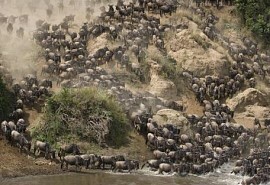 The wildebeest migration normally crosses the Mara and Talek Rivers between July and October each year. This is the best time of year to visit the camp. The Masai Mara is one of the most beautiful and popular reserves in Africa. 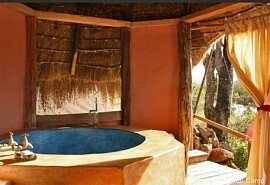 It is part of the traditional Masai lands, and its edges are dotted with manyattas (Masai shepherd's villages). It is an integral part of the Serengeti ecosystem, divided in two by the vagaries of human geography. The wildlife is abundant throughout the year. You will see hundreds of thousands of gnu and zebra in the reserve. Lion, cheetah, leopard, buffalo, elephant, rhino, giraffe, various antelopes, wildebeest, zebra and warthogs can often be seen on game drives in the area. The birdlife is also excellent around the camp and surrounding environs. Because the Masai Mara does not have fences, you will see just as much wildlife outside its boundaries as within. Some of these areas are also not so crowded. 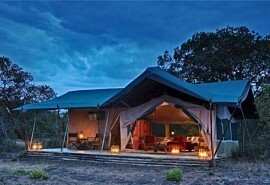 Mara Plains Camp is small tented camp located in a private conservancy sharing. It shares an unfenced boundary with the reserve. 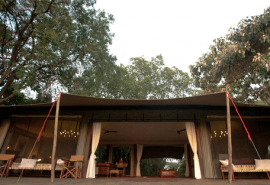 The private conservancy offers safari guest privacy as well as unrestricted access to the entire reserve. 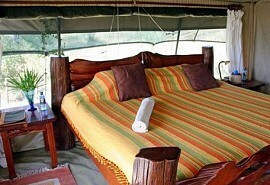 Offbeat Mara Camp is a small and exclusive seasonal tented camp located in a private concession on the Olare Orok River. 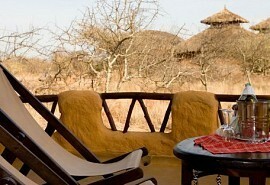 A great place to enjoy a private safari as well as having unrestricted access to the Masai Mara Reserve. Ol Seki Mara Camp is a seasonal camp situated on a beautiful rocky peninsula in the northern Mara, with spectacular views over the savannah plains.